Sharks defenders David Schlemko, Brenden Dillion could be Vegas Golden Knights while Logan Couture is protected. The moment many of us have been waiting for has arrived. The San Jose Sharks have released their protection list for the Vegas Golden Knights expansion draft. 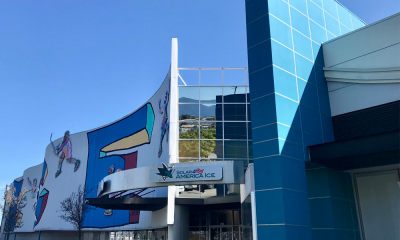 The Sharks opted for the 7-3-1 protection scheme which maximized their player protection. 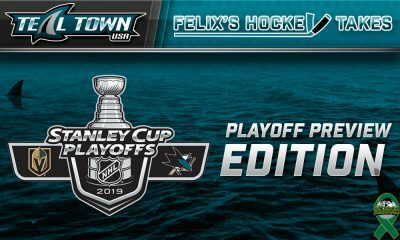 The picks were predictable but it does leave the golden knights some interesting options and I will attempt to make the case for each player left unprotected. 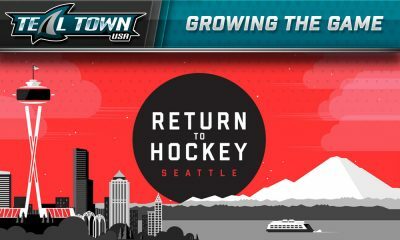 Forwards: Logan Couture, Joe Pavelski, Tomas Hertl, Jannik Hansen, Melker Karlsson, Chris Tierney, Ryan Carpenter. Defense: Brent Burns, Marc-Edouard Vlasic, Justin Braun. I don’t think anything here should shock anyone. I think exposing more forwards to protect a bottom four defenseman would have been a mistake. The Sharks not only have a logjam of defenders looking to secure spots in the NHL but also the AHL as well. Not everyone could be protected though, with the Golden Knights paying $500 Million to join the league the process is set up in the favor. As well it should. The Golden Knights will have plenty of players to chose from in the expansion draft from San Jose. Players like Joel Ward, Mikkel Boedker, Brenden Dillon, David Schlemko, Dylan DeMelo, Paul Martin, and Aaron Dell could call Vegas home when this is over. I will try to make a case for why Vegas could consider each of these players. This list order has no significance, this is not a list of who I think is most likely picked to least likely. The long-time capital will be no stranger to Golden Knights GM George McFee. Ward brings veteran leadership and shows up in big games. While he took a step back last season and father time inches ever closer he only has one year left on his current contract. It is, for this reason, I think that Joel Ward would be a great low-risk move for the Golden Knights. The Golden Knights will have better players to select from the Sharks on defense but there are plenty of quality defenders exposed by other teams. Ok, this one will be difficult. Paul Martin (AKA the Burns Whisperer) is a steady defenceman who has been credited for making Brent Burns look competent on the defensive end of the puck. The drawbacks are plenty though, between age and the two years left on his deal. I have a good feeling that Martin will be on the Sharks opening night roster. Boedker’s first year in teal was a disaster. After signing a four-year $4 Million deal the Sharks forward scored 10 goals and 16 assists, not exactly great bang for your buck. Boedker had a hard time finding chemistry with linemates. Depending on the system that head coach Gerard Galant decides to employ Boedker could be a nice addition, with the security of term on his deal. Also, an excellent power play piece for Vegas as their forward options will be thinner than other positions. Personally, I think sharks fans are far too worried about losing Aaron Dell but I will make a devil’s advocate pitch. 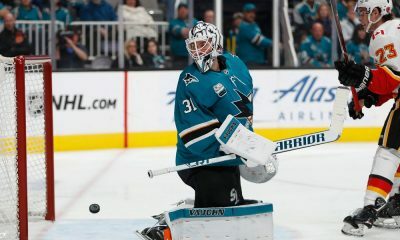 Aaron Dell in a small sample size has been an excellent backup goaltender for the San Jose Sharks. He could provide excellent minutes behind likely Marc-Andre Fleury (most likely) while they let future goalies develop in the AHL. He is on an affordable deal and looked good even with significant time between starts. There are plenty goalies out there for Vegas to scoop up but they could do a lot worse than Aaron Dell. 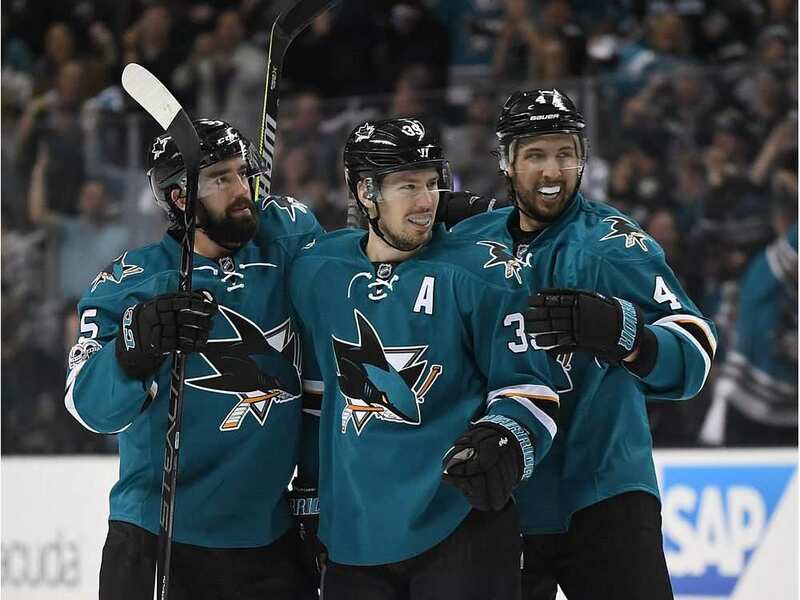 Schlemko is a defender who some sharks fans thought should have forced the Sharks to go 8-1 in their protection scheme, some even thought that Justin Braun should be moved to make room for his protection. Schlemko is a serviceable puck moving defender that Shark fans like a lot. His cap hit of $2.1 Million over the next three years is serious value. Vegas, despite popular belief to the contrary, will have no problem hitting the cap floor. Don’t be shocked to see Schlemko gone if the Sharks don’t make a move to prevent his departure before this is all over. At 26 years of age and a cap hit of $3.27 Million over the next three years, Dillon is a defender that demands attention. Like Schlemko is a serviceable bottom four defensemen whose hits can bring fans out of their seats. While Sharks fans are very split on his value for Vegas he’d be an excellent pick based on age and term. DeMelo 24, served as the Sharks seventh defenceman this past season. He jumped into the lineup when injuries gave him the opportunity and provided the Sharks with quality minutes. If a defender is lost in the expansion draft DeMelo will likely get the opportunity to play a full-time role. For Vegas, this would be an excellent selection because he makes a small $625,000 dollars next year and they’d have his RFA rights for the next three years. He might be a project but one that could turn out well as Vegas goes from being a collection of castoffs to a core of players going forward.